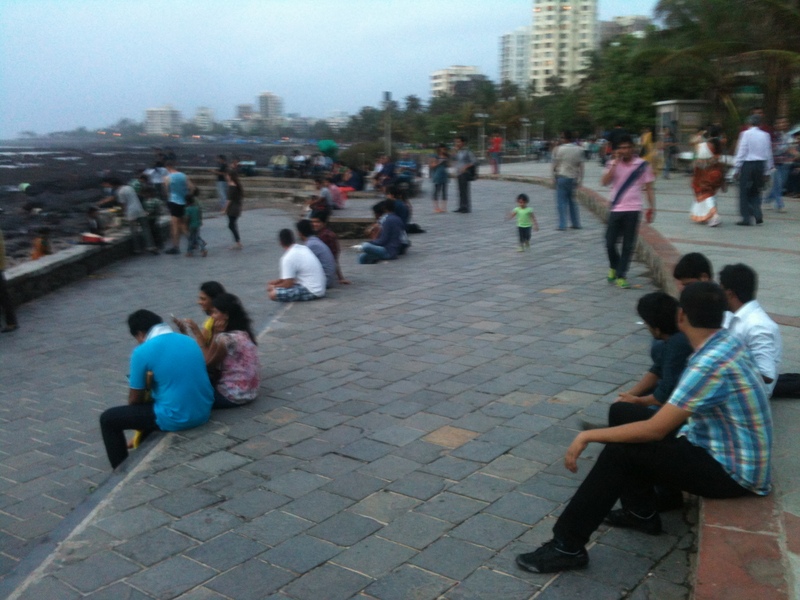 The Bandra Bandstand is probably the most visited promenade in Mumbai. 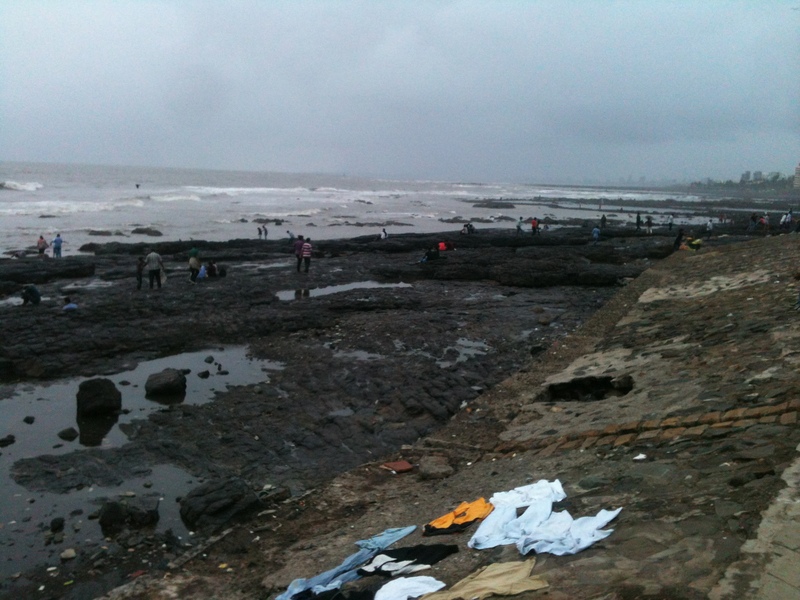 It is around a kilometre long along the Arabian Sea. 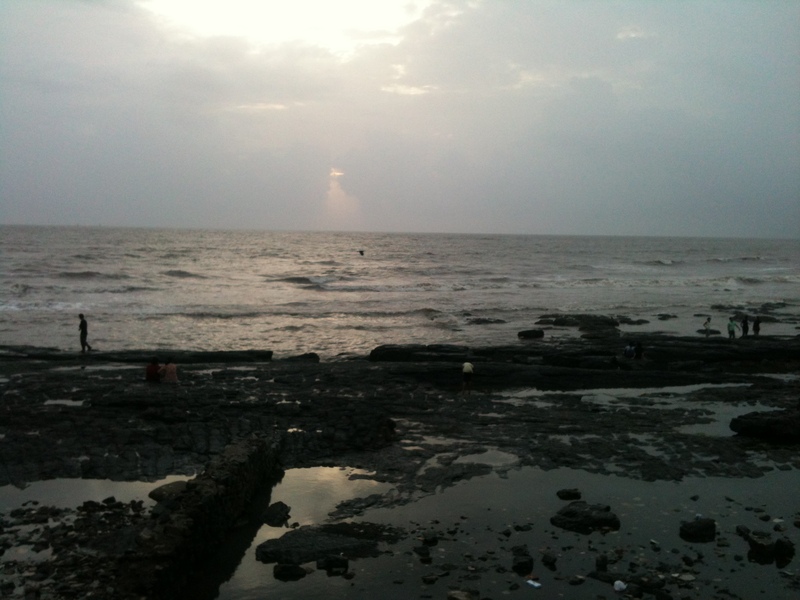 The rough Kota stone paved pathway forms an ideal place for walkers and joggers. 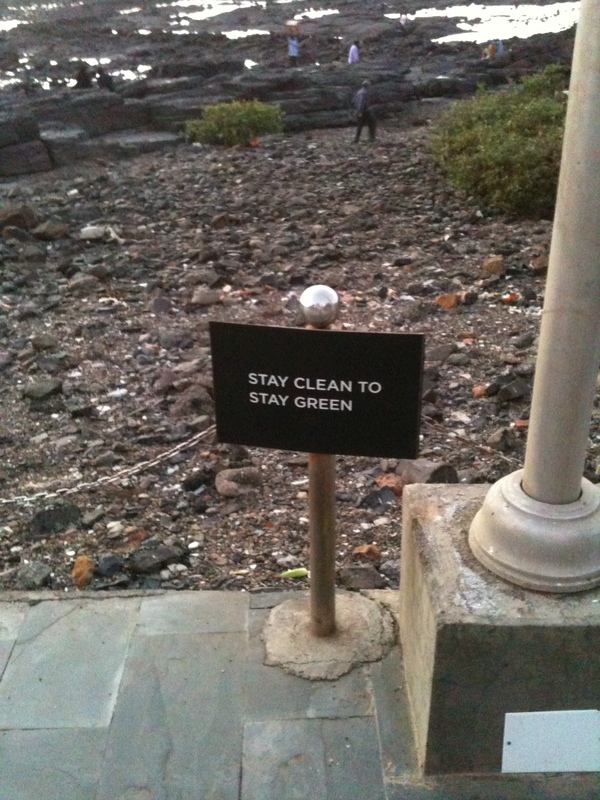 During the past few years there has been a lot of awareness created by the local residents’ associations to keep it clean. 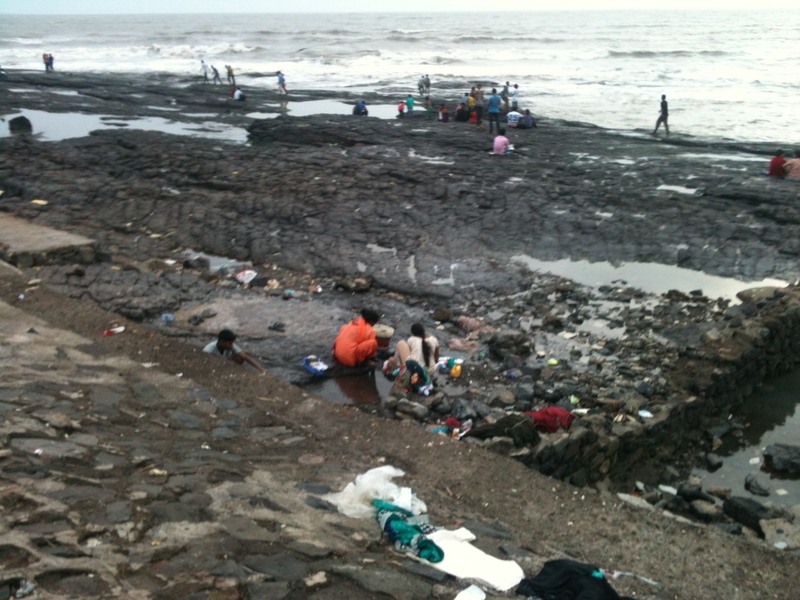 Despite the efforts of the local residents’ people still litter the area and sewage is discharged close to the pathway. 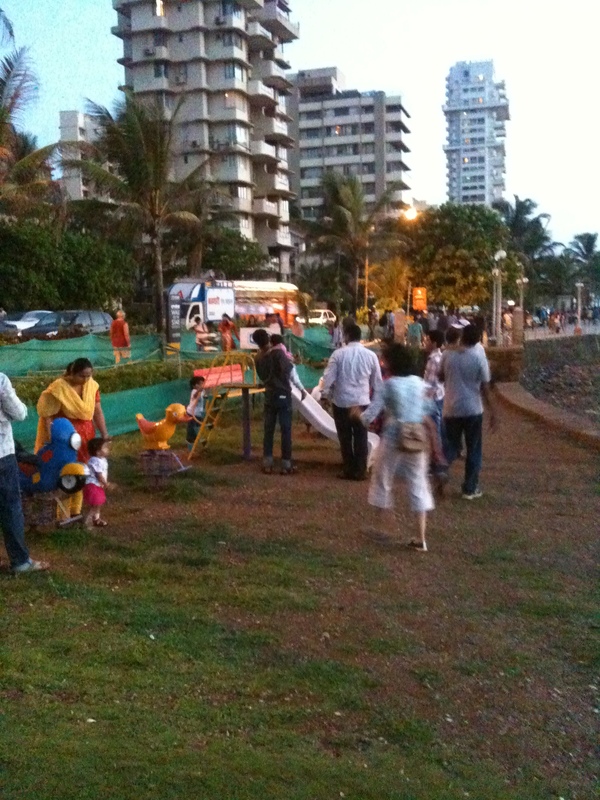 It is also a popular hang out joint for the young folks. 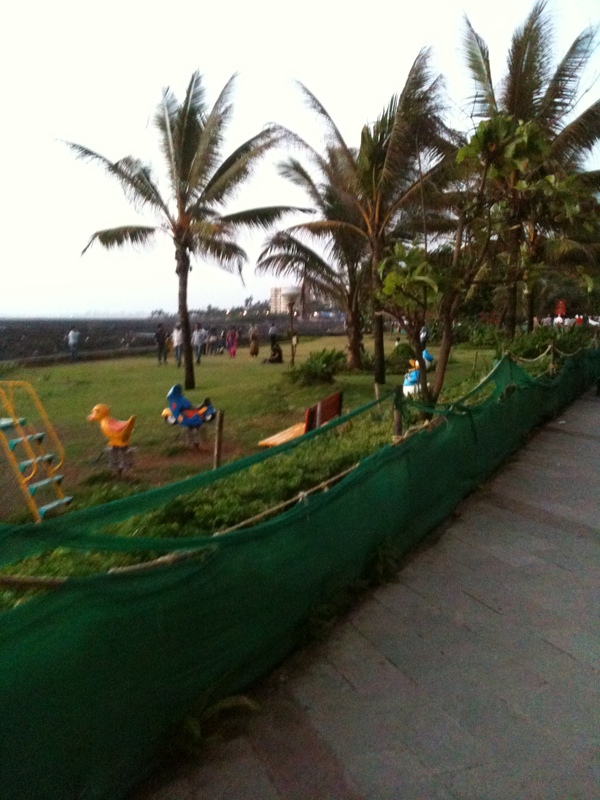 There is a garden called the Tiny Tots at the end of the promenade. Not very big but it has a few play equipments and nicely mowed lawn. There is also an amphitheater which is frequented by street dancers, yoga performers, etc. 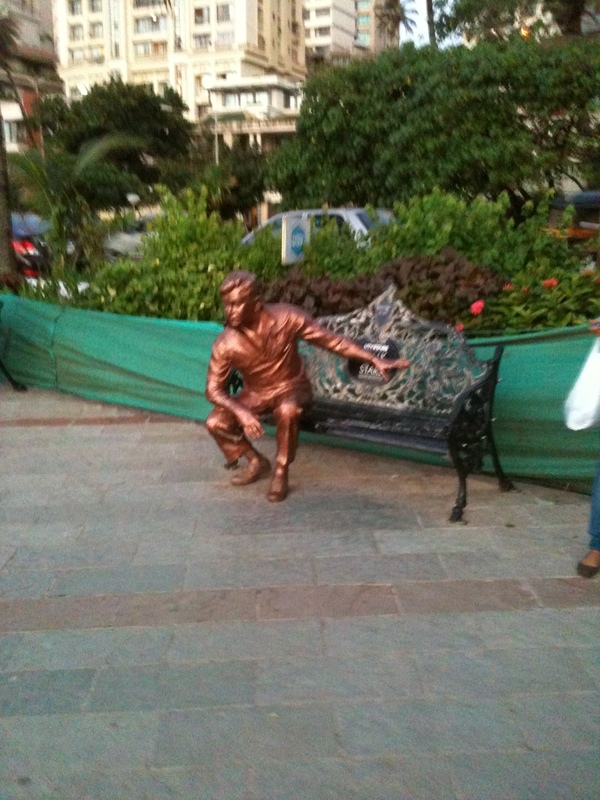 It is also one of the popular venues of Rock band festivals, “Celebrate Bandra” events, classical music performances, etc. 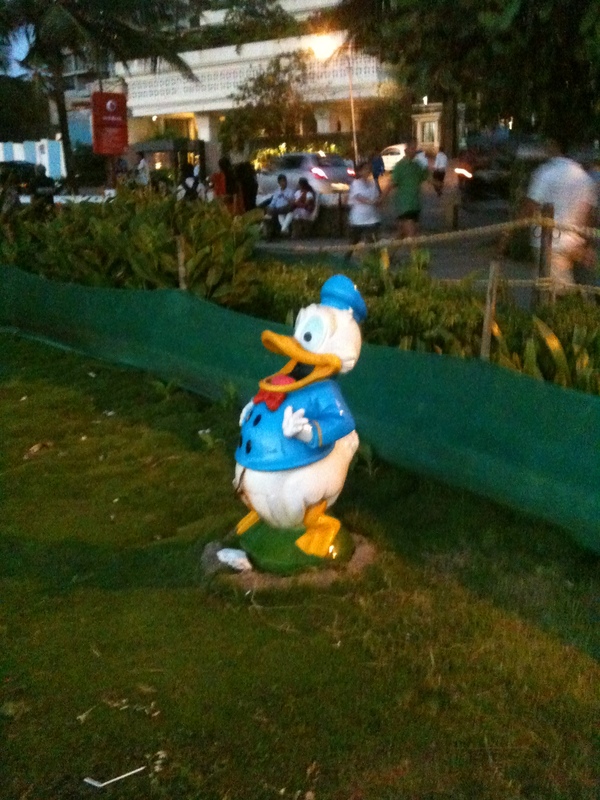 Last time I was there I saw some folks doing Falun Dafa, which is a popular Chinese art form. 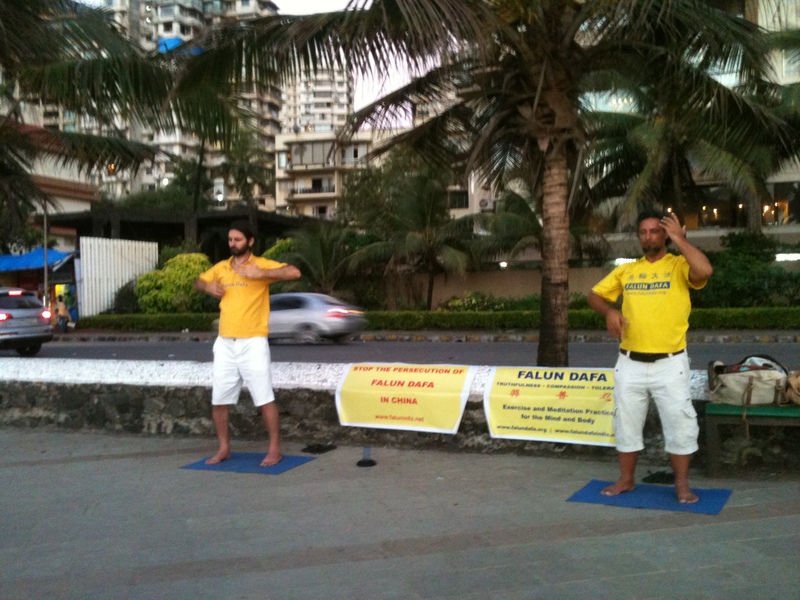 Both of these gentlemen are performing Falun Dafa. Falun means the Principles of this Universe and Dafa means Great Law. Looked pretty easy to perform! 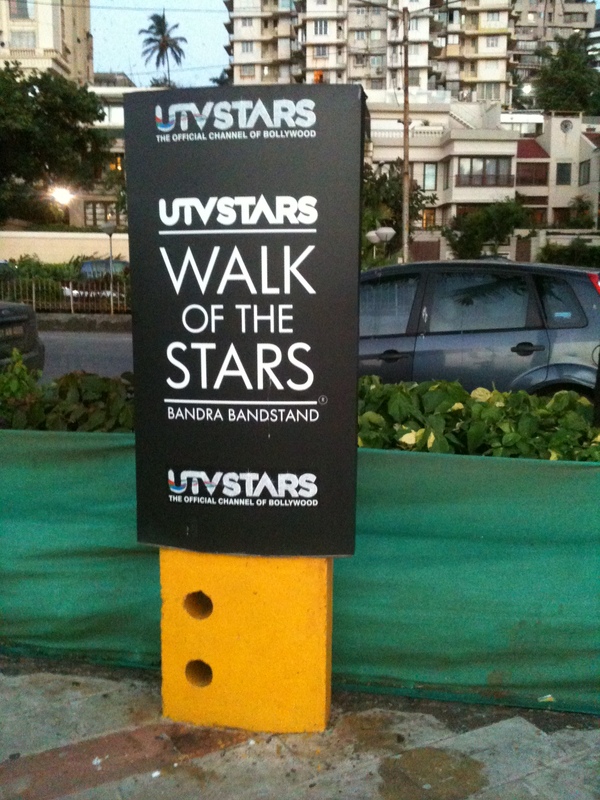 Recently the Residents’ association has built a unique attraction called “Walk of Stars”. 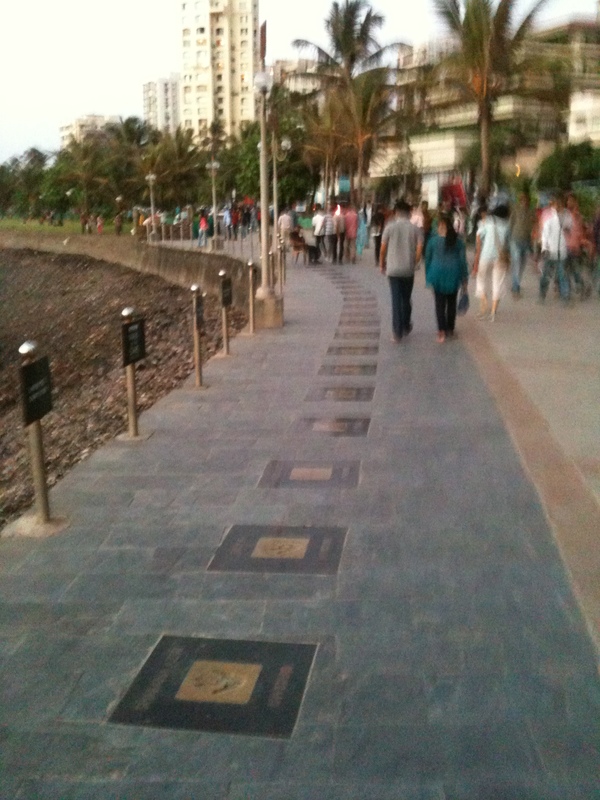 Handprints of many film actors embedded in stone is laid on the walkway. 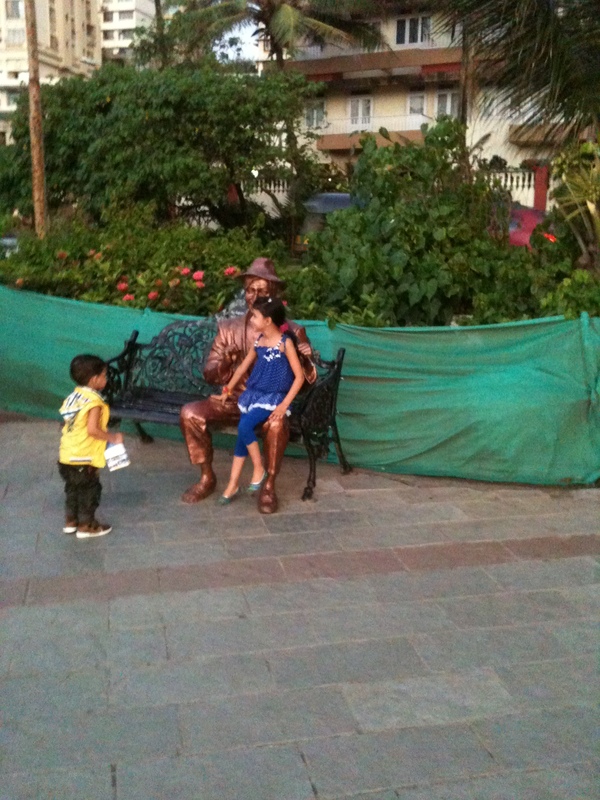 There are life size statues of Raj Kapoor, Yash Chopra, Dev Anand and Shammi Kapoor. 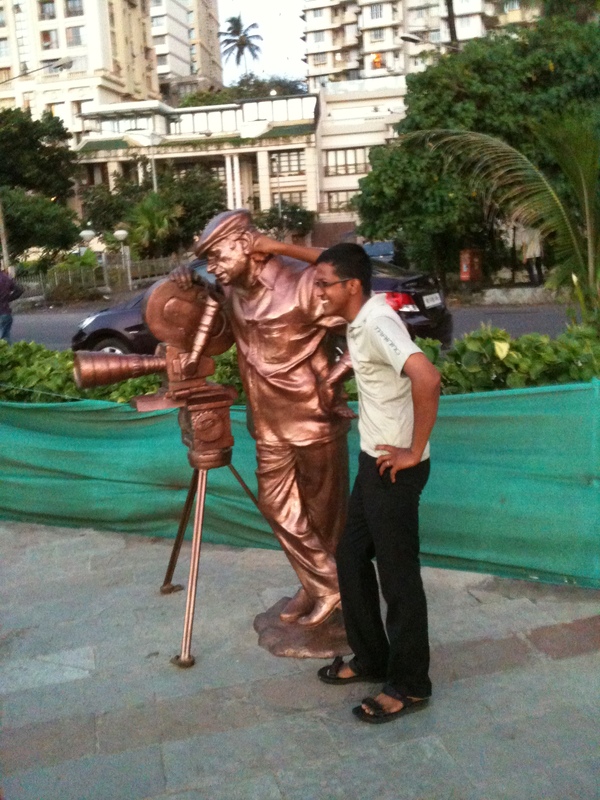 Fancy pulling Yash Chopra’s ears? Yes you can! 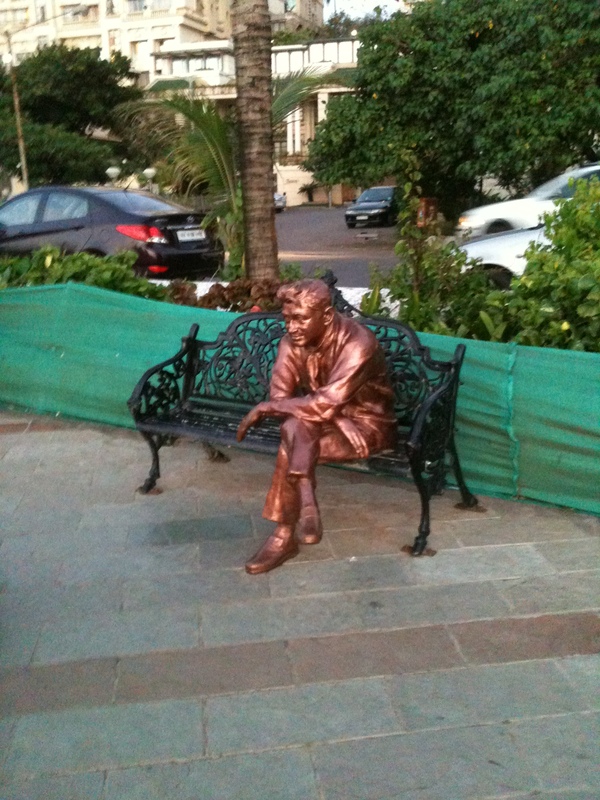 This area has lots of bunglows of famous Bollywood actors like Shahrukh Khan, Salman Khan, Shabana Azmi, Katrina Kaif, etc. You can see die hard fans sometimes in hundreds waiting outside just to catch a glimpse of their favourite stars, more so likely when their movies are about to release. 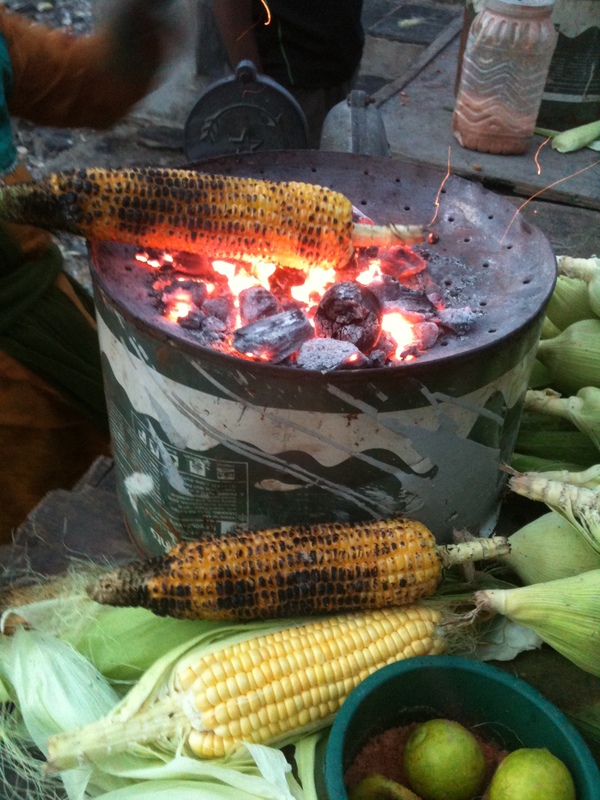 One of the favourties, roasted sweet corn garnished with lime and salt. Can I say it sells like hot cakes? All in all its a nice place to spend few hours in the evening. Lovely breeze and a good company can relieve you off your stresses!